Call it what you will, nearly everyone has “stuff” they’ve accumulated over the years that, if they’re honest with themselves, they know they’ll never use again. I, for one, have a beautiful gown I purchased for a one-time event in 2005. Every spring, when I clean out my closet, I think I should sell or donate it. Eleven springs later – it’s still there. The only difference is, this year I pulled it out of my closet and brought it to the dry cleaner because I am determined to NOT put it back in my closet. 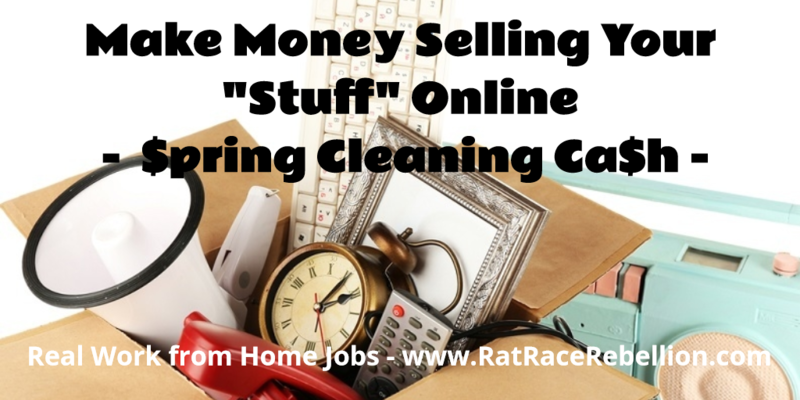 If you are spring cleaning, or are just determined to ACCUMULATE MONEY INSTEAD OF STUFF, this page is for you. Here, we’ve compiled a list of 45 sites where you can sell the items you’ve been squirreling away. We’ve laid out a grid 12 categories to help you decide on the best places to sell your treasures! This entry was posted in Earn Extra Cash, Selling Stuff Online, Weird Jobs. Bookmark the permalink.